No heat? Lost your air conditioning? Is your heat pump making strange noises or failing to keep your home comfortable? There is no doubt that we depend on our Heating and Cooling equipment to keep us comfortable in our home. Unfortunately, they seem to break down at the worst time. Let’s face it; there is never a “good time” to have to call for repairs to restore your heating or cooling in your home. Our Service Technicians are trained to Service all types of Heating and Cooling Equipment. Our goal is to provide the best service at an affordable price. Don’t worry, when you need service, we will be there. When you call to schedule a repair, you will always speak to a LIVE person—never a machine. Even when our office is closed, we employ an Answering Service to answer your call and forward your information to our on-call Service Technician. Once your call is received, a Service Technician will be dispatched to your home just as quickly as possible. We won’t send anyone to your home that we wouldn’t invite into our own. All of our employees undergo background checks, drug testing and extensive training. 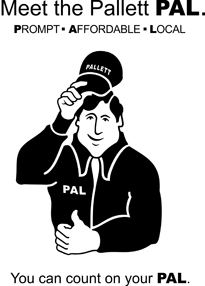 Our Service Technicians are certified professionals who are employed by Pallett Heating and Cooling – never sub-contractors. We charge a minimum diagnostic fee to come out and diagnose your problem. Once the Service Technician determines the proper course of action, you will be quoted a price for the repairs up-front. This eliminates the hidden charges and surprises that come with other companies’ hourly rates and mark-up on parts. If you decide not to authorize a repair, all you owe is our low diagnostic fee. In addition to diagnosing and repairing your immediate problem, our Service Technicians will also warn you of anything else that could compromise the integrity of your equipment and offer recommendations and suggestions. Our technicians are not compensated to find “bad equipment” in need of replacement. Even if it makes more sense to replace your equipment rather than fix it, we will always provide you the repair cost so you can make an informed decision. If you decide that you may want to replace your equipment, our Home Comfort Specialist will be called in to advise you as to your best choice, not the service technician. This eliminates any conflict of interest or incentive for a technician to condemn your equipment. Take the worry out of those unexpected repairs with one of our Annual Service Plans! Our Plans offer the best and most extensive coverage in the industry.